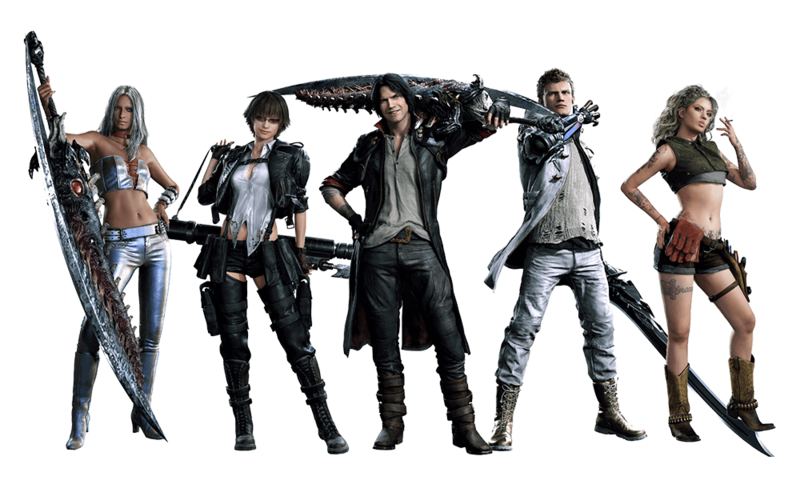 You’ll find a wide variety of custom attires in Devil May Cry 5. Good thing is that there are plenty of alternate costumes for pretty much every character. Players who purchased the game in pre-order process will have access to some extra attires. Those who didn’t pre-order the game can still equip their characters with loads of outfits. To simplify everything, we have gathered some useful information that will guide you about unlocking and equipping costumes in Devil May Cry 5. Easiest costumes that you can unlock in Devil May Cry 5 are “EX’ costumes. They are included in pre-order bonus. Players who pre-ordered the game will automatically receive these costumes. If you purchased the game in pre-order step, you would have received a DLC code that is used to unlock “EX” costumes. DLC code includes EX costumes for Dante, Nero, Lady and Trish. You can access these attires instantly by simply activating the DLC code. Obviously, when the costumes are unlocked, they can be equipped anytime. There is a catch to these outfits though. “EX” costumes cannot be buffed. While other outfits may require some hard work to unlock, you can some what change their style according to your will. Another famous set of alternative costumes is “Super Alternate Costumes”. These will require you to complete main game campaign. Not only do you have to complete the game but it must be on “Dante Must Die” difficulty level. As you cannot select this difficulty during your first attempt at the campaign. You’ll have to either play on Son of Sparta or Devil Hunter. So, it is kind of a long process to unlock Super Alternate Costumes. But we highly suggest that you go for these. Super Alternate Costumes hold a special bonus for you. Players can unleash the Infinite Devil Trigger ability with these attires. This ability will allow you to use your character’s special ability without having to charge it first. Beware that using this ability will drop your rank by nearly 80%. So, if you’re willing to sacrifice the rank for some fun, do it. Do you have “EX” costumes available in your game copy or are you regretting the decision to not buy the game in pre-order process? ‘Kill La Kill’ Season 2 Release Date: Review, Spoilers, Will there be a Moral?